Delivering the deep resonant bass to anchor the stereo staging of the smaller cube speaker, the Acoustimass module works in concert to provide a fuller range of theater sound and effects. Bose patented design renders sub frequencies for all channels without audible distortion. Direct/Reflecting speaker technology delivers lifelike spaciousness with a blend of reflected and direct sound, this innovative Bose technology approximates the way sound reaches your ears during a live performance. Horizontal center-channel speaker array visually complements flat-panel TV screens while delivering natural-sounding dialogue and vocals. Voices are clear and distinct with the Horizontal Center channel driven by dual Twiddler speakers regardless of volume levels. Thanks to the built-in HEOS wireless technology, you can stream and control all your local or online music effortlessly from anywhere in your home with the comfortable HEOS App. Create a stunning home theater experience with the Dolby Atmos and DTS:X 3D surround sound decoders, and all the latest video technologies including Dolby Vision, HDR (High Dynamic Range) and 4K Scaling. Featuring high current discrete power output devices on all channels, the AVR-S930H delivers high power and is rated at a maximum of 185 watts per channel. There's also an Auto Eco mode that adjusts the maximum power available according to the volume level as well as an on-screen Eco meter that lets you see the power consumption reduction in real time. 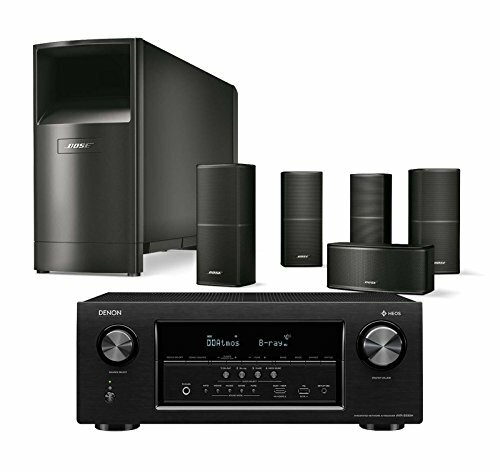 For compatibility with the widest range of loudspeakers the AVR-S930H is equipped with low impedance drive capability.